Enzymes are natural proteins that stimulate and accelerate biological reactions in the body. Enzymes, many of which are made in the pancreas, break down food and help with the absorption of nutrients into the blood. Metabolic enzymes build new cells and repair damaged ones in the blood, tissues, and organs. Though the American Cancer Society says that there have been no well-designed studies showing that enzyme supplements are effective in treating cancer we need look no further than the benefit that comes from stimulating and accelerating so many biological reactions. Most alternative health professionals understand the importance of taking digestive enzymes. This becomes critical for many people as they age. Most people think of enzymes (if they think of them at all) as necessary only for those who deal with digestive problems such as GERD, hiatal hernias, ulcers, etc. Enzymes though are extremely important for treating cancer and should not be overlooked. Enzymes allow one substance to be turned into a different substance and support the pancreas, liver, and immune system’s function. In the early 1900s Dr. John Beard from England discovered that pancreatic enzymes destroyed cancer cells. In 1911 he tested pancreatic enzymes for stopping cancer in mice and it worked. Decades later Dr. William Donald Kelley, a Texas dentist, read about his work, and cured himself of cancer using pancreatic enzymes and started treating and curing cancer patients using pancreatic enzymes. Dr. Nicholas Gonzales, sent to investigate Dr. Kelley, liked what he saw so much that he, still to this day, treats cancer patients using pancreatic enzymes. 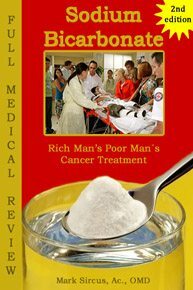 Having cured himself, and with the same therapy, In 1981 Dr. Nicholas Gonzalez, was a second-year medical student at Cornell University Medical College, when he had the opportunity to meet Dr. Kelley, who at that stage had for 20 years been treating cancer patients with complicated nutritional therapy based on Dr. Beard’s enzyme treatment. Dr. Kelley is known for curing more than 33,000 terminal patients of all kinds of cancer without surgery, radiation or chemotherapy. Dr. Gonzalez practices in New York City and is one of the authors of the study, “Pancreatic Enzyme Extract Improves Survival in Murine Pancreatic Cancer” (Pancreas. 2004 May;28(4):401-12). Under Dr. Good’s direction, Gonzalez investigated Kelley’s work during his third and fourth year medical studies. He reviewed almost 10,000 of Kelley’s patient records and interviewed over 500 patients who had been diagnosed with advanced cancer and treated by Kelley. This research allowed Gonzalez to organize Dr Kelley’s findings in an organized manner and pursue this research further for his fellowship training. The object of the study was to prove Dr. Kelley’s method worked. It took Dr. Gonzalez five years to complete the study, which resulted in a 301-page report that states that the cure rate was 100% for pancreatic cancer and 97% for all other cancers. The report was suppressed. In 1986, due to unrelenting pressure from dis-creditors, Dr. Kelley gave up research and patient care and passed away in January 2005. The cancer cell is coated and protected by a protein lining (or covering). When this protein covering is removed it leaves the cancer cell exposed and the body’s natural defense. Leukocytes (white blood cells) comes into effect killing the cancer cells. If the body is unable to penetrate and break down the protein coating of the cancer cell then the cells will multiply and spread (metastasize) around the body and various tumors will form as body attempts to isolate the cells from spreading. But if you are doing chemo and radiation therapy—life- and enzyme-killing treatments—then it is almost fruitless to try to push up your life force with enzymes when all you are doing is destroying your body. The digestive system was designed to process raw food. Raw food, when it is picked ripe, has enzymes in it that help break down that food in the upper stomach where it sits for 30-45 minutes. The enzymes in the food predigest that food. Then the pancreas excretes more enzymes. 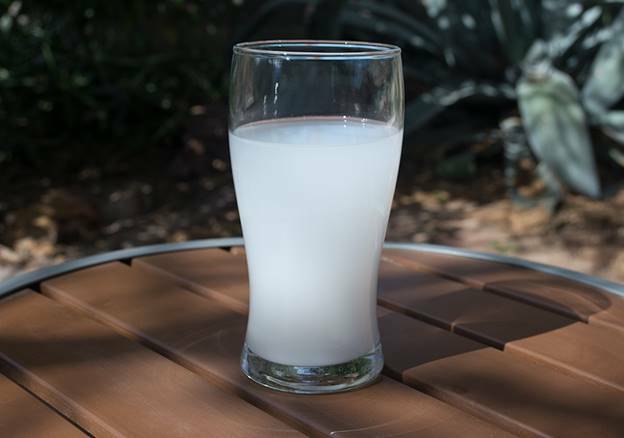 With most people’s diets as far away from the raw state as they can get, many biological processes are drastically impeded because of severe shortages of enzymes. Add chemo and radiation and we can easily see one reason things turn out so horribly with orthodox cancer treatments. Even orthodox oncology is dipping its toes into enzyme therapy when they try to treat pancreatic tumors, one of the deadliest and most drug-resistant forms of cancer. Injecting mice with a molecule that melts the tough structure around the tumor allowed a standard chemotherapy drug to better penetrate and destroy cancer cells. The strategy is already being tested in people. That’s what enzymes do—they melt down things that don’t belong there, including cancer cells. Enzymes are able to touch/ feel/ communicate with the cells they bump against, distinguishing and differentiating between healthy cells and defective or cancerous cells. The more enzymes present in the body, the greater the chances the immune defense system will be able to identify individual cancer cells. People with an increased risk of cancer could reduce their risk by taking enzymes. Enzyme therapy must be continued indefinitely for the best results. 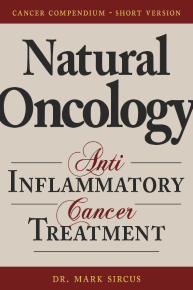 Higher doses of enzymes are needed for individuals who have cancer. And lower doses are required for regular maintenance. Enzymes are proteins that are required for every single chemical action that takes place in your body. All of your cells, organs, bones, muscles, and tissues are run by enzymes. Your digestive system, immune system, bloodstream, liver, kidneys, spleen, and pancreas, as well as your ability to see, think, feel, and breathe, all depend on enzymes. All of the minerals and vitamins you eat and all of the hormones your body produces need enzymes in order to work properly. 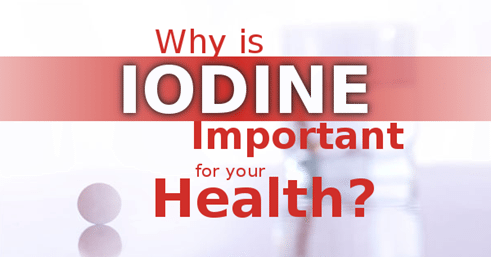 In fact, every single metabolic function—your stamina, your energy level, your ability to utilize vitamins and minerals, your body’s immune system—are all governed by enzymes. When we eat cooked, enzyme-free food, the body is forced to produce enzymes needed for digestion… This “stealing” of enzymes from other parts of the body sets up a competition for enzymes among the various organ systems and tissues of the body. The resulting metabolic dislocations may be the direct cause of cancer, coronary heart disease, diabetes and many chronic incurable diseases. A person’s life span is directly related to the exhaustion of their enzyme potential. And the use of food enzymes decreases that rate of exhaustion, and thus, results in a longer, healthier, and more vital life. Processing and cooking food destroys whatever enzymes were originally in the food. (Man is the only animal that cooks his food.) 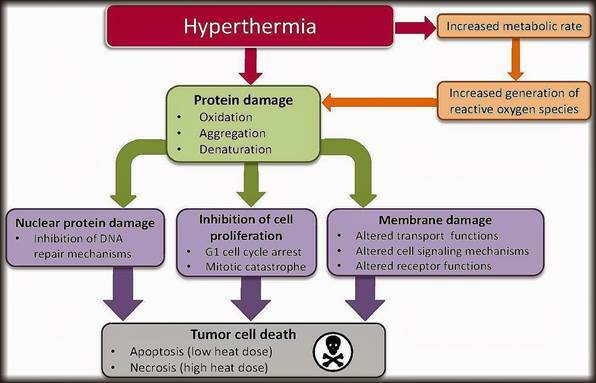 In fact, any sustained heat of approximately 118°-129° F destroys virtually all enzymes. And even though there are some enzymes present in our saliva, the amount used for digesting our food is minuscule since we only chew our food about 25% as much as we should. The result is that most of the food we eat enters our stomach seriously devoid of enzymes. The food then sits there for an hour, like a heavy lump, with very little pre-digestion taking place. Even after the stomach acid has done its work, the food enters the small intestine largely undigested. At this point, the pancreas and the other organs of the endocrine system are put under stress with the responsibility of providing the digestive enzymes necessary to make up for what did not take place in the stomach. They have to draw reserves from the entire body in order to produce massive amounts of the proper digestive enzymes. The less digestion that takes place before food reaches the small intestine the greater the stress placed on the endocrine systems. Recent studies have shown that virtually 100% of all Americans have an enlarged pancreas by the time they’re 40. And there is also research showing that enzyme-deficient diets contribute to a pathological enlargement of the pituitary gland (the gland that regulates all the other glands). The bottom line: Regular supplementation with digestive enzymes takes stress off the pancreas (and the entire body) by providing the enzymes required for digestion and just may be one of the best insurance policies you can give your body so you can enjoy a long and healthy life. • Significant reduction in indigestion and heartburn problems resulting from too much acid in the stomach. • Improved digestion of dairy products for anyone who deals with lactose intolerance. • Diminished food allergies due to more complete protein digestion. • You will experience much less flatulence due to more complete carbohydrate digestion. • An increase in energy levels within a few days of enzyme supplementation since the digestion of enzyme-deficient food is an extremely energy-consuming task. • Relief from hiatal hernias. Which Enzymes Should You Use? • A variety of proteases – for digestion of proteins. • Carbohydrases (including amylase) – for the digestion of starches and carbohydrates. • Lipase – to digest fats. • Cellulase – invaluable in breaking down fiber cellulose into smaller units. • Lactase – works in the digestion of dairy products. • Digestion-stimulating herbs – including ginger, gentian, and caraway seed. • In addition, a separate formula (often contained in pancreatic enzyme formulas) should be used containing significant amounts of bromelain – an enzyme that digests protein. Bromelain, which comes from pineapple, burns 900 times its weight in fat. And it is amazingly beneficial for the body as a whole once it gets into the bloodstream, particularly in terms of reducing inflammation and swelling in joints. The formula I recommend as a digestive aid is Digase, which is an effective and complete enzyme supplement formula. 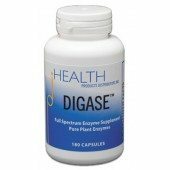 Digase contains a full spectrum of digestive enzymes: proteases (optimized for pHs of 3.0, 4.5, and 6.0), peptidase, lipase, and carbohydrases, including amylase, glucoamylase, invertase (sucrase), maltase, alpha-galactosidase, lactase, phytase, cellulase, and hemicellulase. Any person that has poor digestion, eats lots of cooked foods, is gassy, suffers from irritable bowel or other intestinal dysbiosis should add enzymes to their supplement program. In the intestines, pancreatin works to help digest the proteins, carbohydrates, and starches of our meals. Supplementation with digestive enzymes along with a meal helps share the workload of your body’s own pancreatic enzymes and can aid in digestion (discussed earlier). But what happens if you take enzymes between meals? Protein molecules that are only partially digested in the small intestine are absorbed into the bloodstream. 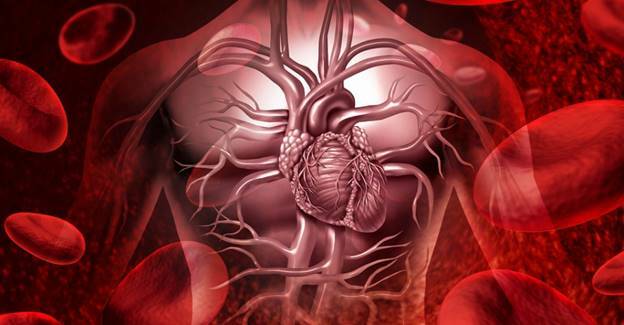 Once in the bloodstream, the immune system treats them as invaders provoking an immune reaction. Antibodies couple with these foreign protein invaders to form circulating immune complexes (CICs). Now, in a healthy person, these CICs may be neutralized in the lymphatic system. But if the immune system is in any way compromised, CICs accumulate in the blood where they initiate an “allergic” reaction. As the number of CICs builds, the kidneys max out and can no longer excrete all of the CICs, so they begin to accumulate in the body’s soft tissues, causing inflammation. It is here that the pancreatic enzymes in our bloodstream come into play. Pancreatic enzymes are able to break down CICs so that they can pass through the kidneys for excretion. So if enzymes are taken between meals, the body doesn’t need the enzymes for digesting food, so they make their way directly into the bloodstream to aid in the elimination of CICs. Because of their ability to digest foreign proteins, pancreatic enzymes (both those produced in the body and those absorbed into the bloodstream from taking supplemental digestive enzymes) work to clear out infecting organisms such as viruses, scar tissue, and the products of inflammation. For this reason, pancreatic enzymes are frequently used by Naturopaths to treat a variety of conditions, including lung infections, tooth infections, bone fractures, and as a body strengthener before surgery. Specifically, pancreatic enzymes have been used by many healers to aid in a variety of disease conditions, including inflammation, viral disease, multiple sclerosis, and, of course, cancer. Note: A dedicated proteolytic enzyme (high-protease) formula will be even more effective in this regard than a digestive enzyme formula forced to do double duty. Ideally, you should use a dedicated digestive enzyme formula with your meals and a dedicated high-protease formula between meals. I recommend the use of the Prolyt formula as the formula to use inbetween meals for cancer patients and anyone else facing serious chronic disorders. Prolyt contains the proteolytic enzymes bromelain, trypsin (pancreatic enzyme), and chymotrypsin (pancreatic enzyme), and the bioflavonoids turmeric extract (95% curcuminoids), quercetin and oligomeric proanthocyanidins from grape seed extract in a vegetarian capsule. For cancer treatments we recommend taking the Prolyt formula between meals so that it gets into the body and doesn’t just work on the digestion of foods. We recommend 12-20 capsules daily in dosages of 4 caps/ serving taken 3-5 times daily. Larger amounts can be taken as needed. • Second, protease will begin breaking down the protective coating of the H. Pylori bacteria responsible for so many ulcers. In other words, it will actually begin to digest it. This is the prime reason digestive enzyme supplements are so helpful for those who have ulcers. A cautionary note: There is one concern when using digestive enzymes with ulcers—and that’s if you have a severe existing ulcer. What could happen is that the protease would actually begin to digest severely damaged stomach lining tissue. This can cause noticeable discomfort for several days. To avoid this discomfort, if you have a severe ulcer, start with small amounts of the supplement with your meals and build up slowly. A person’s life span, in great part, is directly related to the exhaustion of their enzyme-producing potential. The use of food enzymes decreases that rate of exhaustion, and thus, results in a longer, healthier, and more vital life. 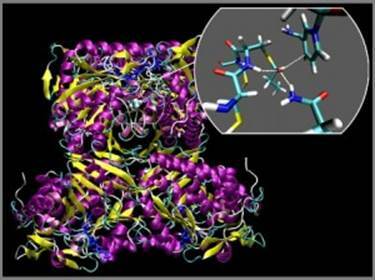 Magnesium plays are large role in enzyme function and production. "While it was estimated in 1968 that magnesium was a required cofactor for over 300 enzyme systems, that number is now more reliably estimated at 700 to 800,” wrote Dr. Andrea Rosanoff. Intense magnesium therapy, when combined with enzyme therapy will give the body strong energies to move forward with healing of a broad range of disorders.